Given that Kovalchuk is returning to the NHL after a five-year hiatus at the age of 35, there have been questions about how he’ll be handled, given the up-tick in pace and the regular practice and workout regimen. Kovalchuk has been commended for his conditioning approach, but the questions are valid for any player with similar longevity in the game. 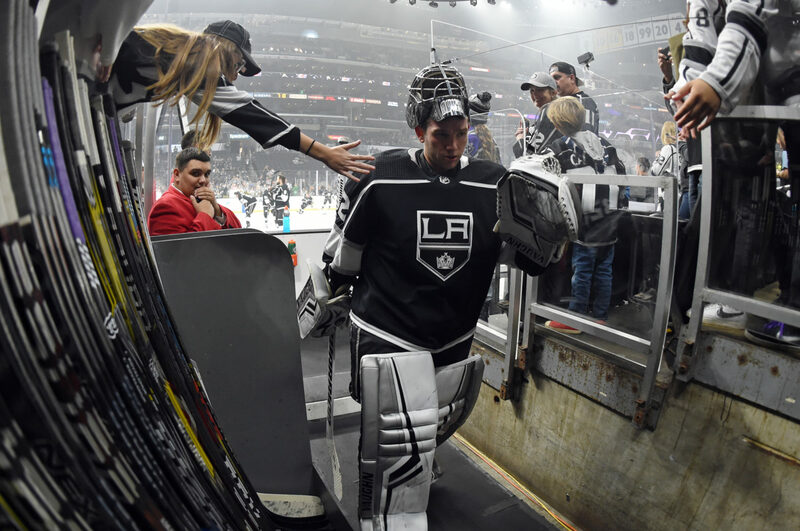 Meanwhile, Jonathan Quick (lower-body) will take the ice back at Toyota Sports Center today and is expected to face some shots on Tuesday, “and then we’ll see where he goes from there,” Stevens said. I haven’t heard a change from his hybrid week-to-week/day-to-day designation (explained here), but as noted, his injury is not projected to sideline him well into the season. Also, hockey ops shared a note on Gabriel Vilardi (back), who has been skating in full gear at Toyota Sports Center while the team has been away. For every three days Vilardi takes the ice, he spends one day off it. After 12 days – that’s nine on, three off, um, via math – he’ll be re-evaluated. I get the sense that if all goes well after that evaluation that the team could consider getting him onto the ice at the tail end of Kings practices, at which point they’d look to start integrating him in and ultimately adding a little bit of contact. But this three-days-on, one-day-off period should continue well into the next two weeks, so we’re a little ways away from gauging whether or not such integration may be on the horizon. Dustin Brown (broken finger) continues to skate back at Toyota Sports Center. He has to miss the first 10 games and 24 days of the season after having been placed on LTIR. He’s not expected to be sidelined much longer than that period. « Previous Post The No-Name Podcast. We’re working on that.